This page lists books and articles which have contributed to my research. I will present my list as an annotated bibliography that also acts as a review section. I intend to update frequently with new books as I read them. Bancroft aims to explore aspects of fashion culture through psychoanalytic theory (applying ideas from Freud, Lacan, etc.) combined with some methodology from elsewhere (e.g. Barthes). The text provides introductions to key concepts in psychoanalysis, which are useful to me as a ‘newby’. I did feel, however, that this explanation consumed the bulk of the author’s attention, and not enough was left to devote to fashion. The author has selected the most controversial fashion subjects of our time. She responds to the work of photographer Nick Knight, and designers McQueen, Chalayan, and Galliano. It is interesting to see all of these designers’ works placed in the context of psychoanalysis, as they are certainly appropriate candidates. However, she doesn’t seem to provide many insights that are not available elsewhere. The text may have been more innovative if Bancroft had devoted more time to directly analysing the fashion, and thereby allowing room for deeper and more insightful observations. Although I don’t feel that I gained any significant new perspective on fashion, there were a few bits and pieces that I have found useful. The author’s definition of fashion is particularly interesting, as it acknowledges issues that are too often omitted. The definition begins with ‘identity’, as many semiotic responses to fashion do, but also includes discussion of clothes relationship to the body, femininity, and art. 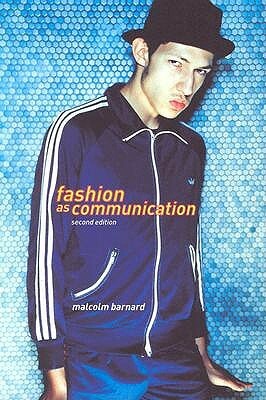 Barnard provides introductions and responses to definitions of fashion, semiotics, difference, change and revolution. This is probably the most comprehensive introduction to fashion theory available. It is top of all my students’ reading lists, and I frequently return to it for reference. A short but fascinating book which addresses five kinds of relationship that we have with clothes: fashion and trendsetting; identity construction; the clothed and unclothed body; team colours, community and uniformity; couture as art. The author’s aim is to help wearers understand the messages they they express through their clothes, and the social/cultural factors that may have influenced their wardrobe decisions. I highly recommend this to anyone who wants to become familiar with fashion theory. It is a very useful introduction to some of the key ideas underpinning fashion and identity, and each chapter stands alone as an interesting and informative essay. It is introductory enough for fashion students taking their first look at the cultural and social aspects of fashion, but also detailed enough to keep more experienced readers entertained. Taschen’s collection of fashion advertisements presents a visual record of fashion consumption. During the 20th century, there were several important shifts in the ways that fashion advertising depicted garments, including the gradual acknowledgement that clothes could be marketed for their fashionability rather than their functionality. From these images, we learn about how fashion adverts have developed from illustrative ‘proof’ of a garment’s qualities to the promotion of lifestyle. This collection is primarily images, and best read in conjunction with other texts to develop a more complete understanding of fashion advertising. It is worth considering these images in terms of Barthes’ ‘Fashion Photography’ and Richard Martin’s ‘Fashion in the Age of Advertising’. 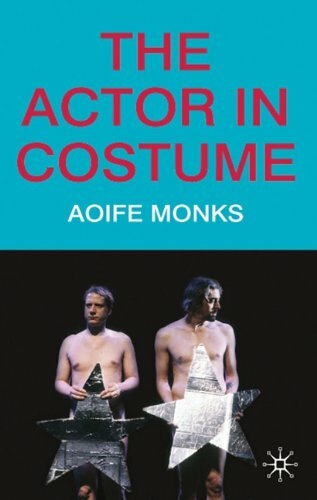 Monks, Aoife, The Actor in Costume, New York: Palgrave MacMillan, 2010. 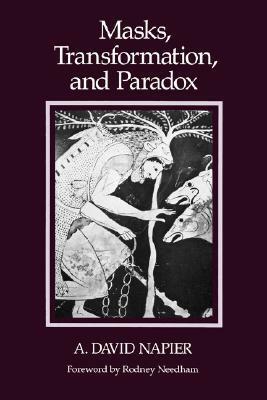 Napier, A. David, Masks, Transformation and Paradox, Berkley: University of California Press, 1986. Fashion and costume research draws heavily on anthropology. Some of the core issues in fashion theory, such as how clothing expresses identity, were explored by anthropologists long before they were appropriated by fashion theorists. This book is particularly useful in discussion of the mask (and, by extension, all costume) and its potential to transform the identity of the wearer. It explored the extent to which identity belongs to the wearer or to the mask itself.